When is the best time to use ice packs? 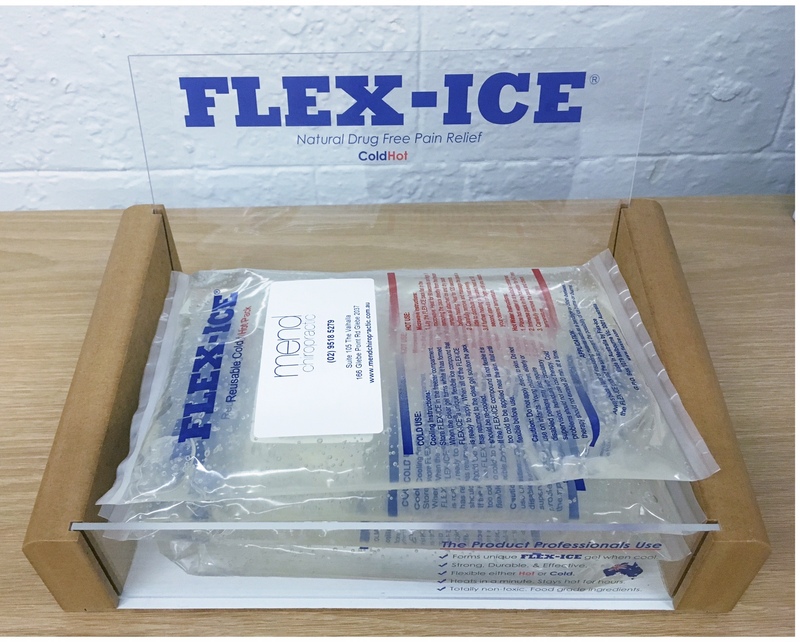 Mend Chiropractic now stocks Flex-Ice heat/ice packs. These can be used as either ice packs or heat packs. But when is the best time to use ice packs? Think of ice as a natural anti-inflammatory. Ice constricts blood vessels to reduce circulation to an area, reducing pain and swelling. It’s best to use an ice pack following a new injury or aggravation of a existing condition, where you want to minimise swelling to keep you mobile later. When using ice you should wrap the ice pack in a moist tea towel and keep the ice on for no longer than 15-20 minutes at a time. Check the skin regularly for ice burns or irritation – if the skin goes excessively pink or red, take the ice off immediately. Leaving ice packs on for too long can cause muscles to tighten and can damage the skin. A common recommendation for using ice packs is 10 minutes on, 10 minutes off, and repeat 3 times a day. If in doubt, contact your chiropractor for advice. Flex-Ice heat/ice packs are available from Mend Chiropractic for $10. Is binge-watching giving you a backache? Hold the phone! Is your texting posture overloading your spine? Mend Chiropractic | Dr Daniel Edwards (Chiropractor) | Glebe Point Rd Glebe NSW | Proud to provide quality chiropractic care to Sydney and Sydney’s Inner West; suburbs including Glebe, Camperdown, Newtown, Pyrmont, Ultimo, Chippendale, Sydney City and Sydney CBD, Broadway, Annandale, Enmore, Surry Hills, Forest Lodge, Darlington, Erskineville, St Peters, Stanmore, Petersham, Lewisham, Summer Hill, Marrickville, Leichhardt, Lilyfield, Birchgrove, Balmain, and Rozelle.